A decade ago, Melissa K. Norris suffered a medical emergency and deep personal loss. During recovery, she read Francine Rivers’ novel, The Scarlet Thread. That book changed Melissa’s life. The manuscript she subsequently wrote landed her an agent. Her debut book, The Made-from-Scratch Life: Simple Ways to Create a Natural Home, will be released February 2016 by Harvest House Publishers. 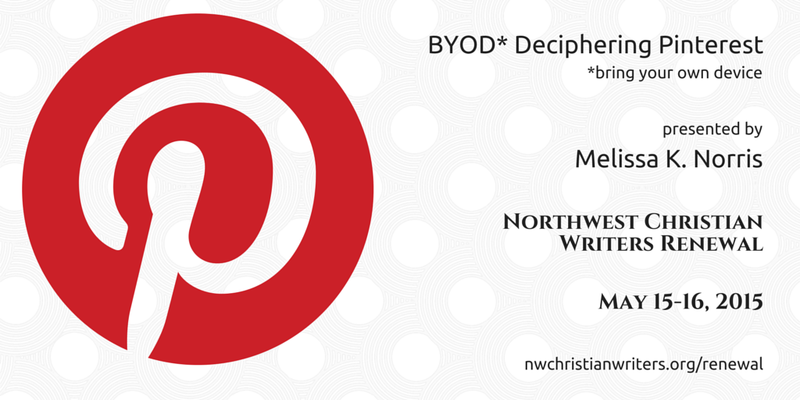 1) BYOD (Bring Your Own Device): Deciphering Pinterest (WriteCoach Lab, Friday, May 15) – Would you like to learn how to use Pinterest to promote your writing? Could you benefit from some guidance in converting to a Pinterest business account, creating a branded bio, verifying your website, or taking advantage of Pinterest Goodies? 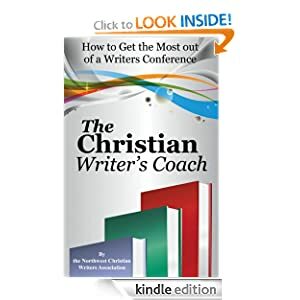 Bring all your questions, along with your own device—laptop, netbook, tablet, smartphone, etc.—for on-the-spot answers from Pinterest guru Melissa K. Norris. 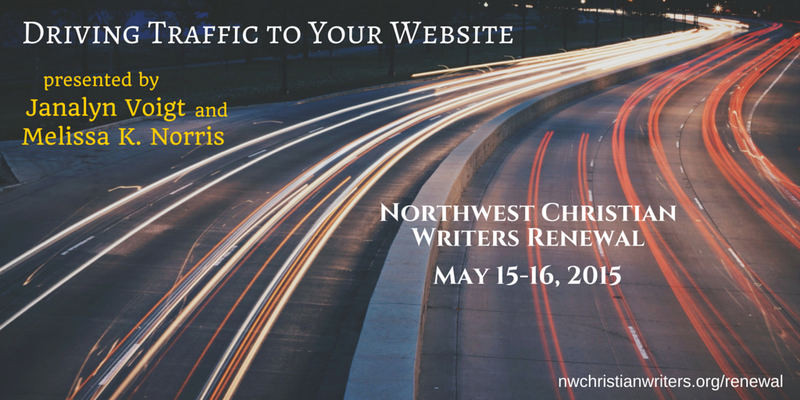 2) Driving Traffic to Your Website (Workshop, Saturday, May 16, with Janalyn Voigt) – Many writers have great blogs, awesome books, and beautiful websites—but no visitors. Melissa and Janalyn will share how they get thousands of visitors to their websites every month and will demonstrate logical steps, not just to build traffic, but also to engage visitors so they return. Learn why you should have an e-mail list and which service is recommended. They’ll discuss blogging as content marketing, how to boost a site in search engines, the role of social media in attracting website visitors, and their best tips on how most effectively to build website traffic. They’ll discuss what worked and what didn’t in their own attempts. Attendees will also be able to obtain discounted access to their Mailchimp tutorial. Melissa is an author, newspaper columnist, radio-show host, blogger, homesteader, and contributor to the New Pioneer magazine, Self-Reliance Illustrated, and Traditional Cooking School by GNOWFGLINS (God’s Natural, Organic, Whole Foods, Grown Locally, In Season). Growing up reading Laura Ingalls Wilder, Melissa now enjoys her own little house in the big woods where she lives with her husband and two children in the Cascade Mountains. Her books and articles are inspired by her family’s small herd of beef cattle, her amateur barrel-racing days, and her forays into quilting and canning—“without always reading the directions first,” she cheerfully admits. 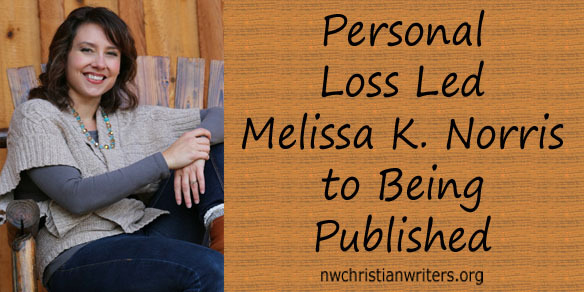 To learn from Melissa’s wisdom about the Internet, pioneering, and watching God turn tragedy into triumph, sign up today for the 2015 Northwest Christian Writers Renewal. 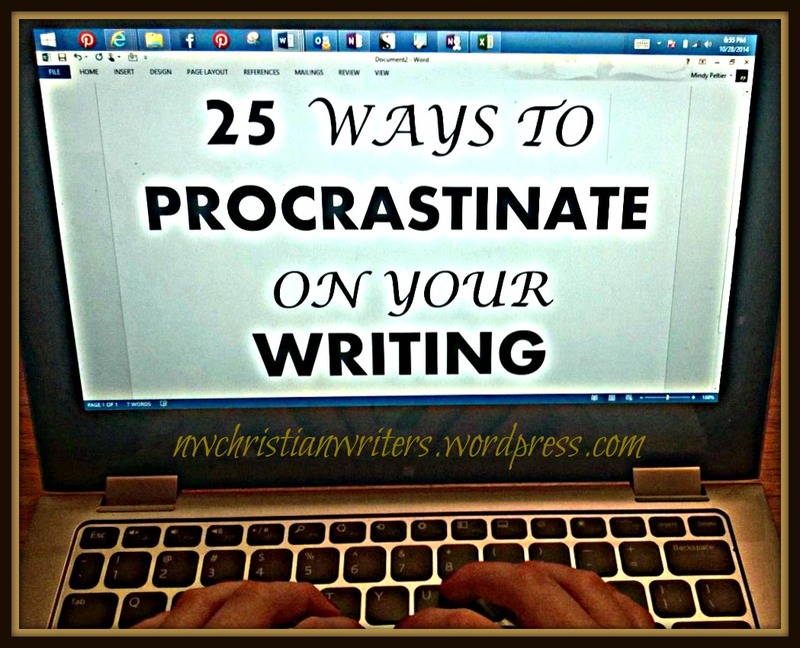 Have you ever planned to write diligently, only to get swallowed up by the Procrastination Monster? Maybe you decided to finish an article, chapter, or blog post, but found yourself in a whirlwind of other important activities. Make a banana split. If you don’t have the ingredients, go to the furthest store in the next city for ingredients. Take a cooler though. Call a friend and tell her how you don’t have enough time to write and wonder how people crank out books every year. Make plans to TP the houses of any writers you know who meet the criteria for number 16. Meet the above friend at the Mother Ship (Starbucks) and complain about how you don’t have time to write. Play with your new phone or tablet or other device. Wash your bed skirt. Or if you don’t have one, shop for one – even if you’re a guy and hate bed skirts. Take pictures with your new device, while texting your writer friends about how you have so little time to write. Just a wee bit more Facebook. You may miss an hour of that one person you met twenty years ago at a candle party but didn’t like because she ate all the chocolate. Go online to find a Facebook Anonymous 12-step group for people addicted to Facebook. 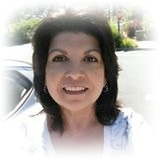 Cherrie Herrin-Michehl is a licensed mental health therapist practicing in Woodinville, WA. Her ebook “Tooshie: Defeating the Body Image Bandit” was published June 2014. The book is a collage of humor, faith, and psychology. As Cherrie illustrates, a sense of humor comes in handy when you struggle with procrastination! However, more often, I’ve found reasons to feel stressed, frustrated, and guilty about my procrastinating. I’ve even called myself some mean names. Wasteful, foolish, disorganized, chaotic . . . . it hasn’t been pretty. That’s how, with God’s help, I’m beginning to realize that I DO have what it takes to stop procrastinating by choosing to change the way I think about myself. I now realize my mistake in judging myself harshly by my performance instead of living out each day in agreement with God’s perspective about who I am. You may procrastinate, but that is not who you are. You are not your bad habits, your bad choices, your bad experiences, nor your mistakes. J eanie Killion, a blogger & pre-published author, shares from the overflow of her journey with Jesus. 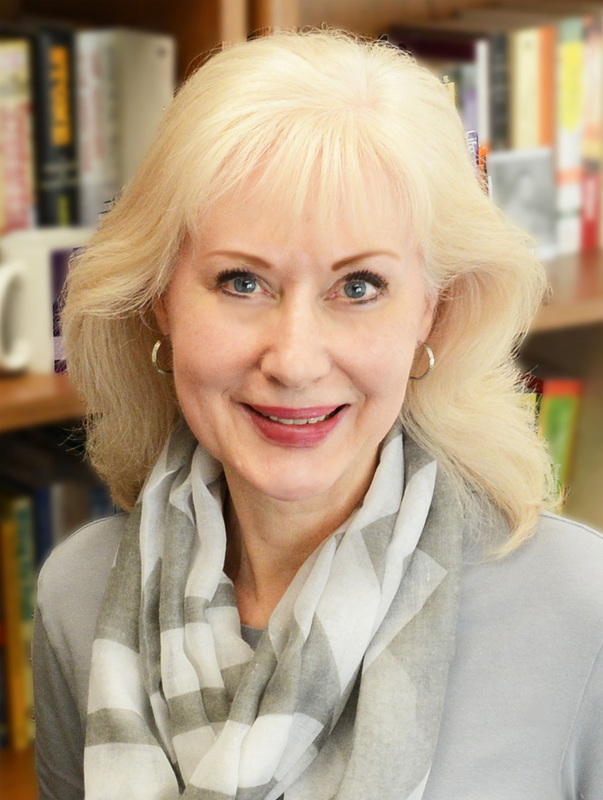 She’s found Him faithful through many “dangers, toils, and snares.” With her writing, Jeanie strives to help others draw close to God’s throne and access the Joy of His Presence, the Peace that passes understanding, and the Hope we have in knowing Him.